We write a blog with some friends called Chocolate By the Bay, which focuses on local artisan chocolate. We started the blog in 2009, and we thought for today’s talk we’d cover the pioneers of local artisan chocolate, and the veterans who have been making artisan chocolate here since before we started our blog. 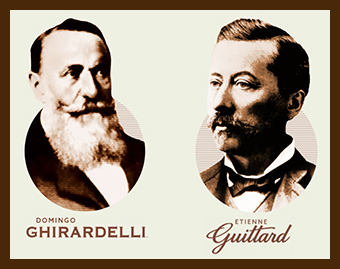 Local chocolate history started during the Gold Rush with Ghirardelli and Guittard, two chocolate makers whose companies are still in business today. But that’s ancient history, and this is an incomplete history, so we are going to skip that era. Instead today we are focusing on local artisan chocolate. And by artisan, we mean small batch, handmade, craft chocolate, including bean to bar, and often organic, no preservatives, non-GMO, fair trade, etc. Alice Medrich and her company Cocolat, who started it all. Joseph Schmidt Confections, who elevated the art in artisan. Scharffen Berger, who started bean-to-bar chocolate making. 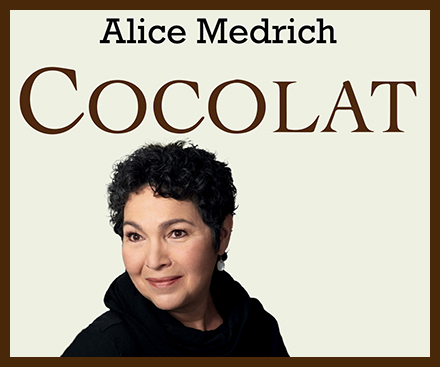 Our story begins with Alice Medrich, who’s called The First Lady of Chocolate. A year later, in her home kitchen in Berkeley, Alice tried her hand at making her own truffles from her landlady’s recipe. The results were larger and lumpier than the French truffles, but they were a delicious. She began selling them through a Berkeley charcuterie (across the street from the now legendary Chez Panisse), and they were so popular, she was delivering orders of around 300 truffles a day within the first week. Alice’s versions of the luxurious confections came to be known as California Truffles, and with them, she is said to have introduced French style chocolate truffles to America. She opened her first Cocolat chocolate and dessert shop in 1976, and by the time she left the business in 1989, there were 7 locations in the Bay Area. These days, Alice is still an industry influencer, as an award-winning author of cookbooks about chocolate & desserts and through her teaching, speaking and workshops. The next local luminary we will talk about is Joseph Schmidt, who would become the first international chocolate star from the Bay Area. In 1983, Schmidt, who was a European-trained baker, and Audrey Long, who was a European-trained chocolatier, opened Joseph Schmidt Confections in SF that became known for its beautiful, creative chocolates. Their signature piece was a large molded egg-shaped truffle in different flavors and bold designs, that became known as American truffles. The company was famous for their bold designs, elaborate displays, and fancy molded chocolates (because Joseph Schmidt had a large collection of antique European molds they would use). Their store in the Castro was a destination for locals and tourists looking for fancy chocolates and a unique shopping/tasting experience. In many ways, Joseph Schmidt Confections was over the top. Their holiday collection alone would sometimes have 50 different products. Joseph Schmidt was an artists who loved experimenting with his medium. He invented the balloon dipping method for making chocolate bowls, in which he would dip a blown-up balloon into chocolate, let it set, then pop the balloon and decorate the resulting chocolate bowl. Joseph Schmidt Confections had a single store in SF, but their chocolates were available around the world at high-end department stores and fancy boutiques, including Bloomingdales, Harrods of London, and Takashimaya Department Store in Tokyo. Next up, we head back across the Bay to Berkeley for the third local artisan chocolate pioneer, Scharffen Berger. Scharffen Berger was started by Dr. Robert Steinberg, who left medicine to pursue an interest in fine foods, and wine maker John Scharffenberger. 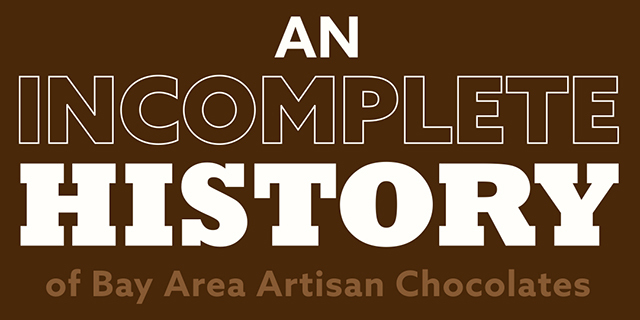 They were the first bean-to-bar chocolate maker in the US. When he was young, Steinberg had worked at Bernachon, a famous chocolate maker in Lyon, France. 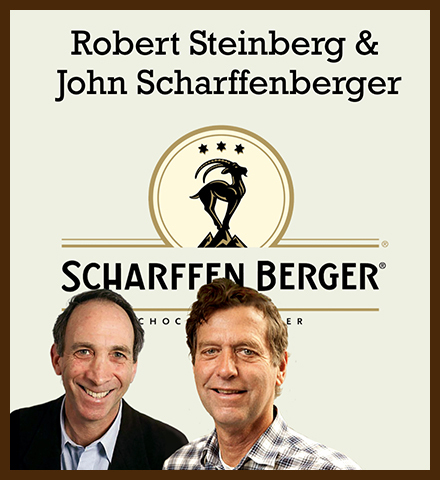 When he teamed up with Scharffenberger, they merged the domains of chocolate and winemaking. Like winemakers, they looked at their source materials, cocoa beans, in terms of varietals and terroir — the idea that geography, climate and soil impart different flavors in the crops. They also introduced wine industry practices of tastings and transparency, allowing people to see the process of making the product. They were the first to put cacao percentages on their packages. Before that, it was essentially a trade secret. You had no idea how dark a dark chocolate was or how much cacao was in a milk chocolate. They were also possibly the first to sell chocolate direct to the public at farmers markets. By giving out free samples, they found that people would be willing to pay more for premium chocolate when they could taste the difference. Scharffen Berger’s success with single-origins even influenced original SF chocolate maker Guittard to start producing single-origin chocolate as well. Scharffen Berger also influenced us personally— we hatched our blog while sipping hot chocolate at their Café Cacao, which was adjacent to their Berkeley factory. And although we didn’t know it at the time, the large antique chocolate advertising posters that adorned the cafe walls belonged to Alice Medrich, who was friends with the owners and served on the board of Scharffen Berger. In 2005, chocolate giant Hersheys decided they wanted a piece of the growing luxury chocolate market. 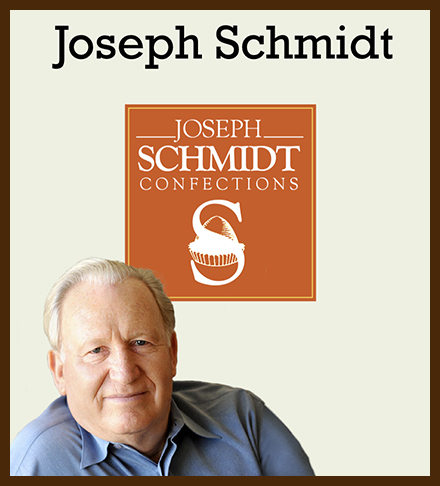 They bought both Joseph Schmidt Confections and Scharffen Berger, and in 2009, they closed the Bay Area locations. Before long, the Joseph Schmidt line was gone entirely, and the Scharffen Berger brand became a top grade supermarket chocolate bar. Those were 72 percent dark days for Bay Area Chocolate. But on a happier note, while Joseph Schmidt doesn’t make chocolate anymore, he is still mentoring chocolatiers today. That’s it for the pioneers section of our presentation. Now we turn to what we are calling “Veterans of Bay Area Chocolate”: People or companies who have been making artisan chocolate here longer than we have been writing about it. 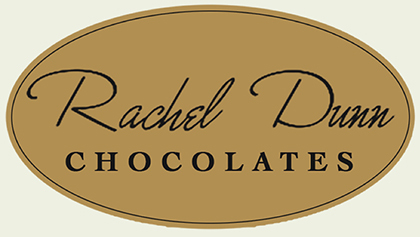 The first veteran chocolatier is Rachel Dunn Chocolates. Rachel started selling her homemade chocolates in 1984 in Oregon, and 2 years later, she and her husband, Michael Dunn, moved to the Bay Area and landed a major account with Saks 5th Ave on Union Square. Their Grand Collection at Saks caught the attention of Bernachon, that chocolatier in Lyon, who was curious about the local market for chocolate. Bernachon contacted the Dunns and had them sample their chocolates. I don’t know what happened to Bernachon’s foray into the American market, but the experience of tasting their collection of truffles greatly influenced the Dunns’ chocolate making. Since then, Rachel Dunn has become known as much for her classes and workshops on chocolate making as for her chocolate confections. Their website says over 60,000 people have learned chocolate making through their classes and workshops so far. Michael Dunn, who is also a master chocolatier, started his own bean-to-bar line in 2017. And one of the things I like about the Dunn’s is a story that illustrates the length to which some chocolatiers go for their art. Michael needed a melanguer for his bean-to-bar line. 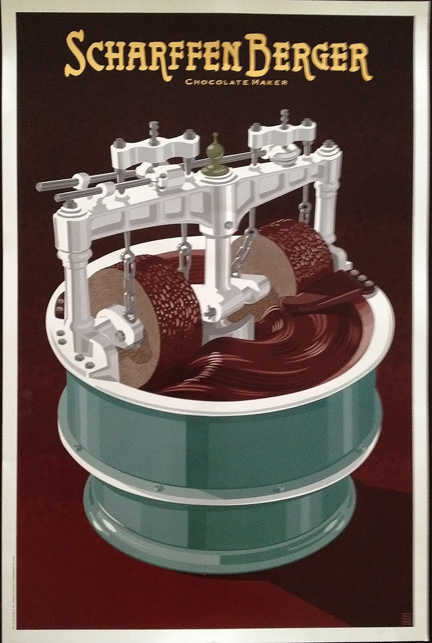 Melanguers are the machines that grind cacao beans into a liquid that is used to make chocolates. Michael and Rachel found a 1901 Lehman Melanguer in the jungles of Venezuela. They didn’t even know if it worked, but they bought it. Then they had to somehow get the 8-foot wide, 12,000- lb. machine out of the Venezuelan jungle and ship it to their Concord, CA kitchen. As a film buff, when I heard this story, I immediately thought of the movie, “Fitzcarraldo” by Werner Herzog, in which a crazy guy in the 1890s moves a ship from one river in the Amazon jungle over a mountain to another river in the Amazon. But somehow Michael got the melanguer to Concord where he took it apart, figured out how it worked, refurbished it, and discovered it was missing a piece, so he fabricated a replacement out of steel. And now he has his melanguer. Chocolatiers, we have found, tend to possess qualities of artists, scientists, alchemists, and adventurers. Speaking of artists, let’s head down to the arty beach town of Santa Cruz for our next veteran. Richard Donnelly went to cooking school in Paris and apprenticed at Maison du Chocolat, also in Paris. In 1988, he opened his shop in Santa Cruz, selling Parisian-influenced truffles, bars, and caramels. He was so good, that in 2012, he caught the attention of National Geographic Magazine, who named him — along with Sharffen Berger — one of 10 best chocolatiers in the world. Donnelly Chocolates is still a destination for people seeking chocolates, caramels, frozen treats or classes where they can make their own truffles and bars. If you can’t get down to Santa Cruz, look for Donnelly Chocolates at Fog City News in downtown SF. Continuing our time traveling “Excellent Adventure,” we jump to 1997, when our next two veterans staked their claim in SF. 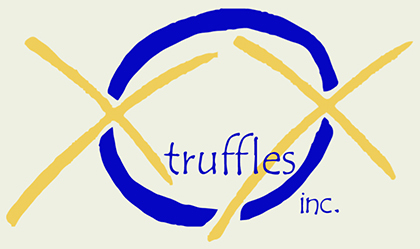 XOX Truffles is the husband-and-wife team of Jean Marc Gorce and Casimira Tobilla. French-trained Jean Marc makes traditional French truffles by hand in a shop on Columbus Avenue in North Beach. You can only get their truffles by going to their shop, they have no online store at the moment, but the trip is worth it. It’s a small shop with a blue-striped awning, and inside the walls have a fine coating of cocoa powder from years of dusting truffles. In the same year, a self-taught chocolatier began offering handmade chocolates from a tent at the Ferry Building’s Farmers Market. 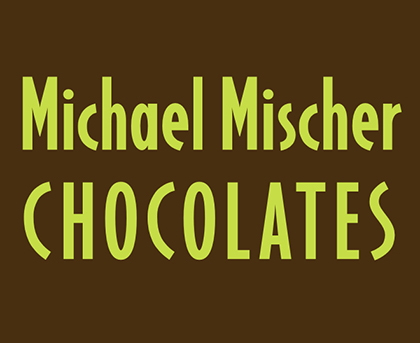 Michael Recchiuti would go on to become one of the most recognized names in SFBA chocolate. His handcrafted chocolates are made with fresh herbs and fruits, and his signature burnt caramel. And their success moved Recchuiti Confections from the farmers market outside the Ferry Building to a store inside the Ferry Building, along with a factory and cafe/store in the Dogpatch neighborhood. If you are familiar with Recchiuti’s sophisticated chocolates, it’s funny to know the origin tale of Michael Recchiuti’s love of chocolate, which he says can be traced back to when as a 4-year-old, he tasted a York Peppermint Patty for the first time. You never know what road will lead a person to a career in chocolate. Or for that matter at what age the inspiration will strike. As teenagers in 2001, sisters Wendy and Susan Lieu started Socola Chocolates by selling their handmade confections at the Santa Rosa Farmer’s Market. Now Socola has its own shop and café SF’s South of Market district. And they have both wholesale and retail accounts. The name, Socola, is Vietnamese for chocolate, and Socola’s flavors reflect their Southeast Asian heritage, their sense of adventure (durian truffles, anyone?) and even their sense of humor. In fact, humor is evident throughout the brand from the names of their products (Blind Dates — toasted almonds wrapped in a Medjool date and covered in chocolate) to their company mascot, Harriet the flying alpaca. Of all the local veterans, Socola is the only one with a booth here at the Salon today. Be sure to stop by, and maybe inquire about Harriet. 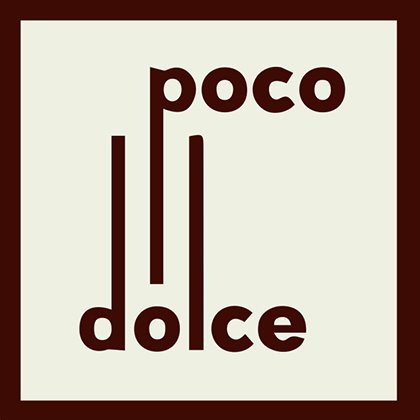 In 2003, Kathy Wiley opened Poco Dolce, which is Italian for a little sweet. What’s unusual about Kathy for a chocolatier is that she’s not that into sweets, so when developing her brand, she focused on creating chocolate that was more on the savory side. Her experiments led her to make bittersweet squares with a touch of grey sea salt. She called the squares, “tiles,” and they became Poco Dolce’s signature product. Poco Dolce has produced millions of tiles, along with truffles, molded chocolates, bars, and our favorite, olive oil infused chocolates. 2004 was a big year in the local chocolate scene with the opening of Michael Misher Chocolates, Woodhouse Chocolates, and Charles Chocolates. Michael Mischer hails from Germany where he trained as a pastry chef. After moving to California in 1984, he eventually shifted from pastries to making filled chocolates. He opened a store on Grand Avenue in Oakland where he makes his filled pralinen (German truffles) in molds that reflect his love of sculptural forms. Alongside more traditional flavors, some of his pralinen seem to be a nod to American culture with flavors like Apple Pie, Rootbeer, and Barbecue, which is made with hot barbecue sauce from Oakland’s Evert and Jones Barbecue. Using mostly Criollo, the finest quality cocoa beans from South America, Mischer also makes a line of single origin and designer bars. And if you’re not a fan of sugar, he has a line of sugar-free bars, too. You might notice, as we have, a few recurring themes in these stories. Europe, career shifts, wine culture, and following romantic notions. Our next veteran incorporates all of these. St. Helena’s Woodhouse Chocolates began in 2004 when winemakers Tracy and John Anderson sold the vineyard they had run for 20 years. Inspired by the romantic movie, Chocolat, they decided to become chocolatiers. Their shop resembles a fancy European jewelry store with crystal chandeliers and wall tapestries. They make Belgian-style truffles, bars, barks, caramels, toffees, molded chocolates, and other confections. A nice part of the European luxury aspect of their brand is the fancy round ribbon-bound box that your truffle assortment comes in. And speaking of boxes, this next veteran chocolatier gets major Willie Wonka points for his edible chocolate boxes among other confections. Chuck Siegel first made chocolates to impress a girl in college in the early 1980s. 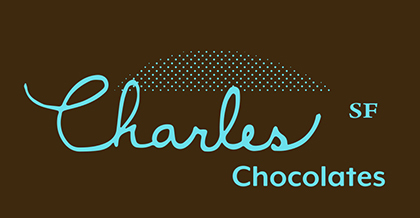 He stuck with it and, years later, with guidance along the way from Alice Medrich and Joseph Schmidt, opened Charles Chocolates in Emeryville. His chocolates are inspired by memories of chocolates from childhood trips to Chicago department stores and vacations in France.His wide selection of products includes bars, truffles, chocolate covered nuts, squares of ganache called “pavés” and (as I mentioned earlier) chocolates that come in an edible chocolate box. In 2010, Charles Chocolates moved operations to SF, but went dark for a bit. A year and a half later with crowdsourced funding from a Kickstarter campaign, Charles Chocolates was back with 7,600 sq. ft. of space in a former brewery in SF’s Mission Creek neighborhood. With big windows into the kitchen, you can see chocolates being made while you shop in the factory store. You can also find the brand at many Starbucks and Peets coffee shops, and at local and national retailers. In 2005, two founders of Wired magazine brought their tech savvy to chocolate making with a new company called TCHO. Their bars, tiles, cooking chocolate, and drinking chocolates are available around the world. In 2006, Alegio Chocolaté opened in Berkeley’s Gourmet Ghetto, which is also where Alice Medrich got her start. At first, Alegio carried their own truffles and chocolates from around the world, but now they are the sole US distributor of Claudio Corallo chocolate. Claudio Corallo is a tree-to-bar chocolate maker, as opposed to bean to bar. He has his own cacao plantation and chocolate factory on 2 islands off the coast of West Africa. Alegio closed their Berkeley shop earlier this year. But you can still visit them at their shop in Palo Alto. In that same year, Mindy Fong started Jade Chocolates in SF. An architect by training, Mindy taught herself to make chocolates by watching You Tube videos and experimenting. Drawing on her Chinese and Filipino heritage, her chocolates are flavored with teas, spices and fruits from Asia and the Pacific islands. Her bars are presented in beautiful, colored rice paper wrappers. With the help of a Kickstarter campaign, Jade opened a shop in SF’s Inner Richmond District in 2014. A second location opened last year at One Market Plaza in downtown San Francisco. 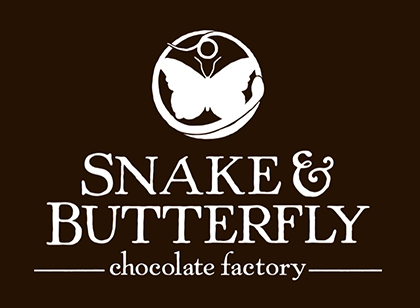 Now we head down the Peninsula, where in 2007, Celeste Walker started Snake & Butterfly, selling her handmade chocolate at local farmers markets. The name, Snake & Butterfly, comes from an Aztec symbol for universal balance. In 2012, the company raised money through a Kickstarter campaign and moved from selling at farmers markets to their own kitchen/shop/lounge. Today the company makes truffles, caramels, and bean-to-bar with a team that includes longtime friends and Walker’s dad. 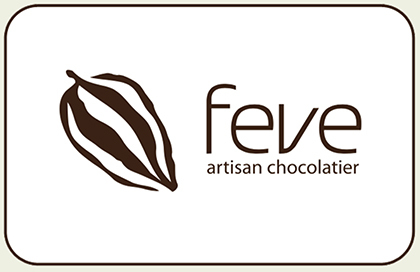 Also in 2007 we have Shawn Williams of Feve Artisan Chocolatier. Shawn was an admiral’s chef in the Navy before becoming a pastry chef at a Michelin-starred restaurant, and then a chocolatier’s apprentice. In 2007, he co-founded Au Coeur du Chocolats (which means “At the Heart of Chocolates”), which became Feve in 2012. Feve makes exquisitely beautiful and tasty chocolates, panned nuts (which are nuts that are roasted, caramelized and coated in chocolate), and offers some unique flavor combinations. Feve’s factory store just opened last year in the city’s Bayview District. It’s worth the trip, and Shawn teaches classes there too. 2008, the last year we are covering, saw 3 new chocolate ventures open in the Bay Area. 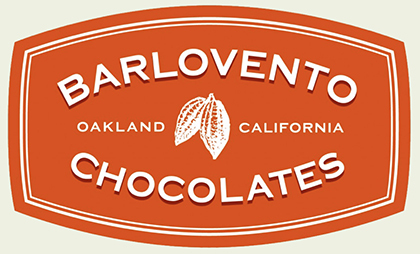 Barlovento Chocolates was founded by Peter Brydon in Oakland near Jack London Square. Barlovento makes truffles, bars, caramels, molded and dipped chocolates. When they started, they sold mostly at farmers markets, but now they have a kiosk in Frank Ogawa Plaza in downtown Oakland. What was unique about Barlovento was that Pete shared his space with other small chocolatiers and mentored local chocolate start-ups as well. Pete sold the business in 2017, and I don’t know if he is still involved. But you can still find Barlovento Chocolates at local stores, as well as their kiosk and online. Also in 2008, Chocolatier Christopher Blue moved his business from Utah to Berkeley’s University Avenue. 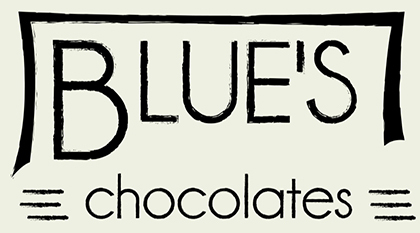 Originally knows as Chocolatier Blue, the name changed to Blue’s Chocolates in 2017. The company makes very pretty truffles with breakfast-themed flavors like Froot Loops, French Toast, Cinnamon Roll and Maple Bacon. Finally, in 2008, our last veteran, Neo Cocoa, brings us full circle because Neo Cocoa’s founder Christine Doerr worked in one of Alice Medrich’s Cocolat stores when she was a teenager. Working there, she says, inspired her to work with chocolate, and she went to California Culinary Academy for training. Later, she developed her signature product, Hearts of Chocolate, which are shell-less truffles, AKA flavored paves. Neo Cocoa also makes chocolate confections, such as Black Sesame Brittle (my favorite). 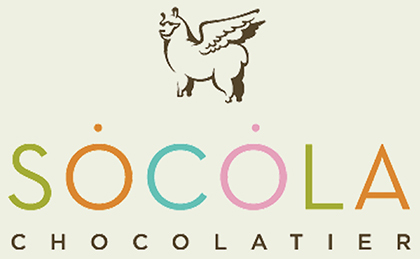 Neo Cocoa was founded with help from La Cocina, a SF incubator that helps female entrepreneurs start and build their own food-related businesses. And Neo Cocoa treats are available at La Cocina’s kiosk in the Ferry Building, as well as online, and in other local stores. Remember when we said, ‘incomplete’? We’ve reached the end of our presentation. Thank you for joining us on this brief, high-speed ride. We hope it wasn’t too fast or bumpy. But this is hardly the end of the history. The artisan chocolate scene in the SFBA continues to be creative and vibrant. And we hope you will help keep the story going. Date posted: March 25, 2019. This entry was posted in Chocolate shops, East Bay chocolate, Featured, Front page, History, Listed chocolatier, Local chocolate, North Bay, Recommended chocolatiers, San Francisco chocolate. Bookmark the permalink.